The plume mostly reached height of about 4-5 km shooting up to 6 km (20,000 ft) occasionally, and heading southeast despite low level easterly winds. Deflation continued at Eyjafjallajökull volcano. No indications eruption might end soon. 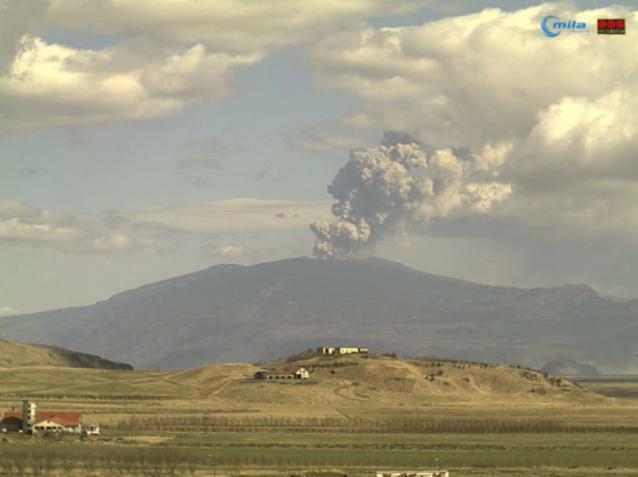 Meanwhile, airtravellers experienced more delays today as more ash clouds drifting from Eyjafjallajökull volcano continued to disrupt some flights. Transatlantic flights faced severe disruption as planes were forced into long detours to avoid the ash cloud, thereby increasing flight times. The air traffic volume was about 500 below the daily average of 28,500 flights today compared to 1,500 cancellations yesterday. “We’re all at the mercy of the volcano and there is just no way of knowing how long it will continue to erupt. We would normally be getting south-westerly winds at this time of year and it’s pretty unusual to have northerly winds dominating the weather. It’s very much a day-to-day situation at the moment. The volcano died down a bit for a spell and has now got more active.” A UK Met Office spokeswoman said. Serial No 1,705. Starting April 2010, each entry on this blog has a unique serial number. If any of the numbers are missing, it may mean that the corresponding entry has been blocked by Google/the authorities in your country. Please drop us a line if you detect any anomaly/missing number(s). 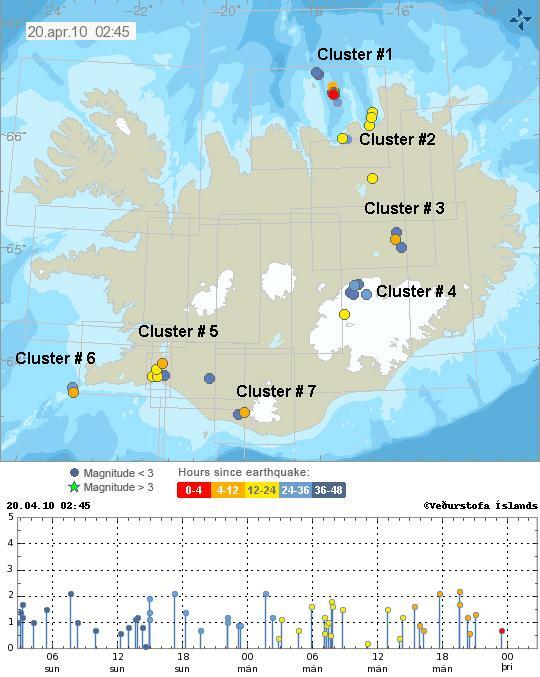 The pattern of seismicity in Iceland has remained almost unchanged from two days ago, while the eruption at Eyjafjallajökull has become less explosive. Loads of magma seem to be flowing under the land of Ice and Fire [Iceland,] but where is it all going? 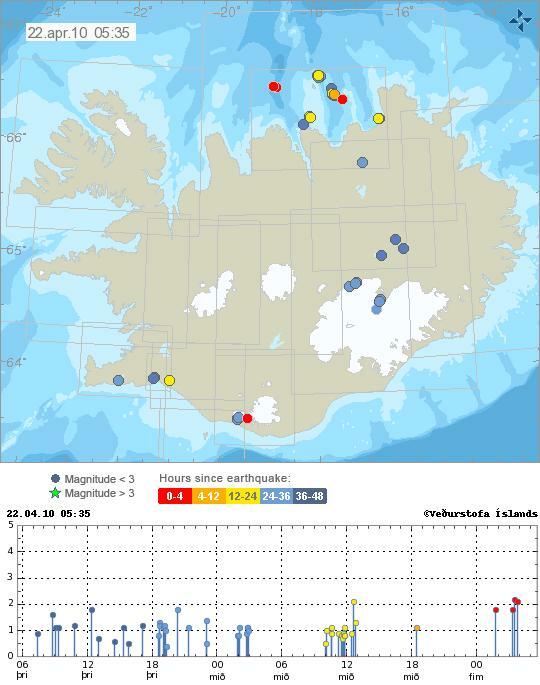 In Iceland’s Bárdarbunga May Be Erupting posted on April 20,2010, Fire Earth Moderators said they believed Iceland’s Bárdarbunga May Be Erupting or is about to Erupt. Bárdarbunga, one of the most active volcanoes in Iceland, is a massive volcano with a 700-m-deep caldera which lies beneath the NW Vatnajökull icecap. 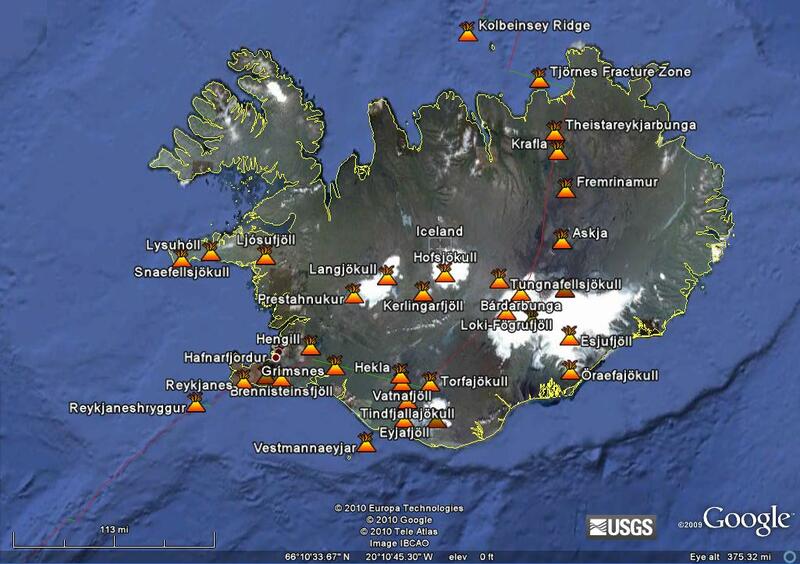 A fissure eruption at Thjorsarhraun produced about 21 km³ of lava, the largest known Holocene lava flow on the planet. Powerful eruptions may occur among the volcanoes lying along the Mid-Atlantic Ridge. The plate tectonics could also translate into increased seismicity along the divergent plate boundary and boundaries of neighboring plates. Serial No 1,607. Starting April 2010, each entry on this blog has a unique serial number. If any of the numbers are missing, it may mean that the corresponding entry has been blocked by Google/the authorities in your country. Please drop us a line if you detect any anomaly/missing number(s).